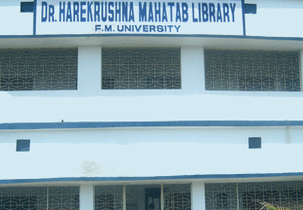 Fakir Mohan University is an outstanding university for its clear and various advance learning. Students can benefit from lecturers and teachers who seek more n more success in their chosen career and also ensure education is connected to the needs of industry and is relevant. They aim to provide best skills and experience possible to succeed in their career. They create outstanding experience for the students. There curriculum is persistently changing to widen the education experience, build sociality and amplify prospects on graduation, allowing them to make a positive constructive impact. They have a rich objective of providing students with an education based on cultural engagement, academic excellence and personal enrichment. There are different specialisations under MBA and BE and fee varies depending on the course. MBA is for 2 years and student must be a graduate from reputed university. The duration of BE is for 4 years and to apply for this course student must be 10+2 passed out. The hostel makes you feel home providing all the basic facilities. Students are allotted on the basis of shared rooms and each room is provided a cot, cupboard, study table and a chair for each individual. There are deadlines for students for their safety and security purpose. They also provide facilities like water heaters and water coolers in every floor. . Mess provides food for all the students in time with variety of food which is very nutritious and hygienic. The student must have been appeared for Entrance exams to apply for any course either under graduate or master or Ph.D. Students must be aware of the cut-offs which will be easier for them to apply for the universities. 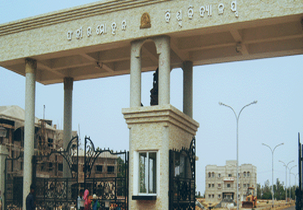 Are you Interested in " Fakir Mohan University"? Please provide the following details.